Dishes of Mediterranean and Spanish cuisines can be ordered at this restaurant. Try mouthwatering salmon, oysters and antipasto. Enjoy good parfait, pudding and petit fours that are offered at Ricard Camarena. The wine list is extensive, every visitor can find something that satisfies their taste. This place is known for delicious cortado, horchata or lemonade. The staff is appealing that's what makes this place so good. Fabulous service is something that people highlight in their reviews. You can get most dishes from the menu for average prices. There is a charming ambiance and divine decor at this spot. 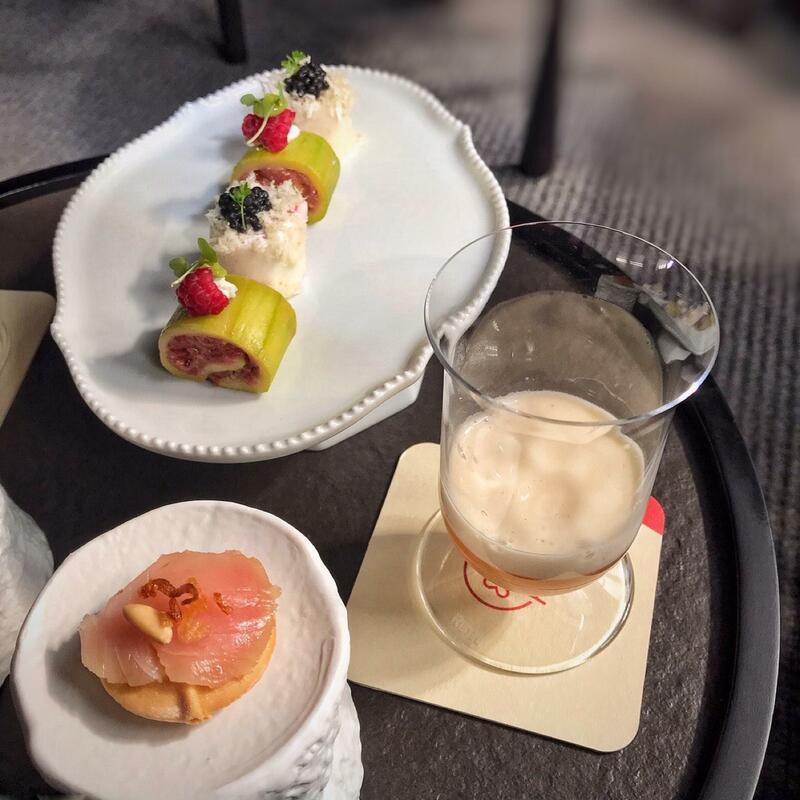 The two-star Michelin restaurant is to serve you showpiece meals cooked by a famous chef. My wife and I agreed that this was the best meal that we have both ever had! 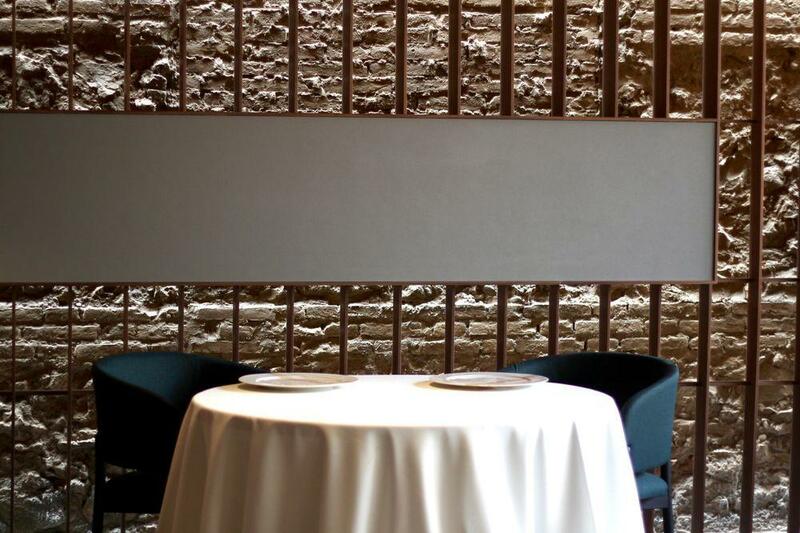 From start-to-finish, our meal at Ricard Camarena was more than just a meal, it was an experience. While we dd not have reservations for lunch, the restaurant was kind enough to sneak us in (it was helpful that it was a bit off-season, an earlier lunch, and a week-day). The staff was absolutely outstanding and this was the best service that I think either of us had ever experienced. Multiple staff members came by to check on us, tell us about the restaurant, and share the story behind each dish. The staff provided excellent recommendations on wine and cocktails and described the menu. 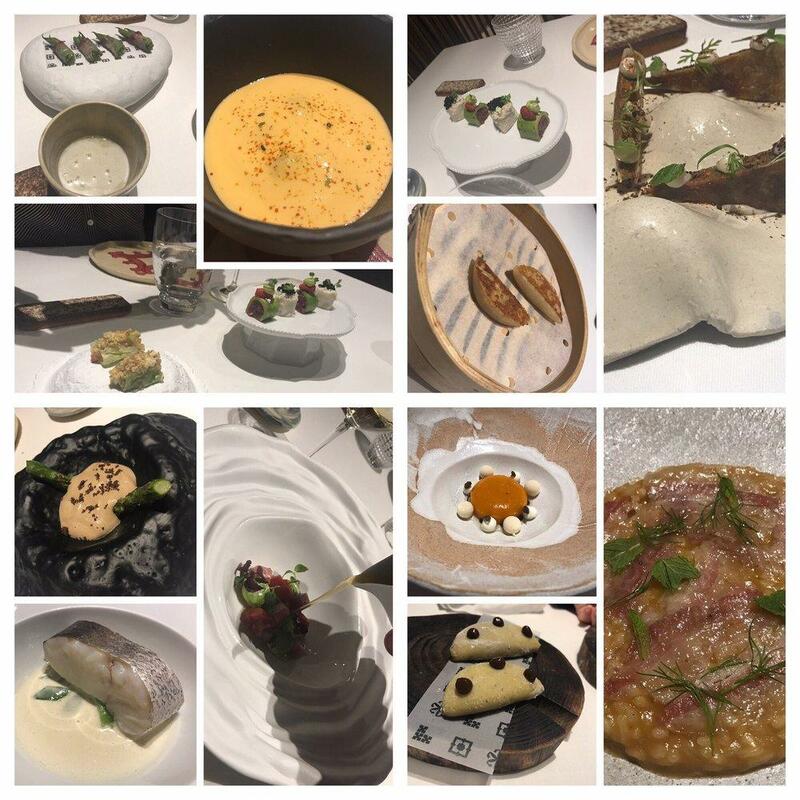 We went with the tasting menu, which was the right call as we had more than enough food and were able to sample delicious dishes that we probably would not have ordered otherwise (and would have missed out on). With the tasting menu came the experience, we started in the lounge area with tasty cocktails and appetizers, then were whisked to the dining room, a spacious room that the restaurant did a great job of not overcrowding, and were able to meet with a chef who walked through each dish, answered questions, and shared the restaurant's emphasis on sustainability and local ingredients. I cannot do descriptions of each dish justice. 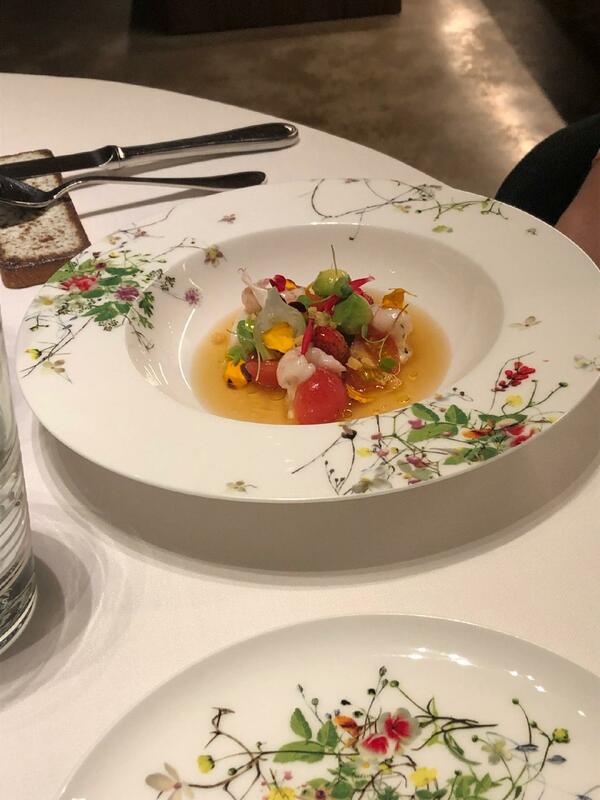 They were all fantastic, innovative, and flavorful and this is a meal that my wife and I will certainly remember (and crave) for the rest of our lives. 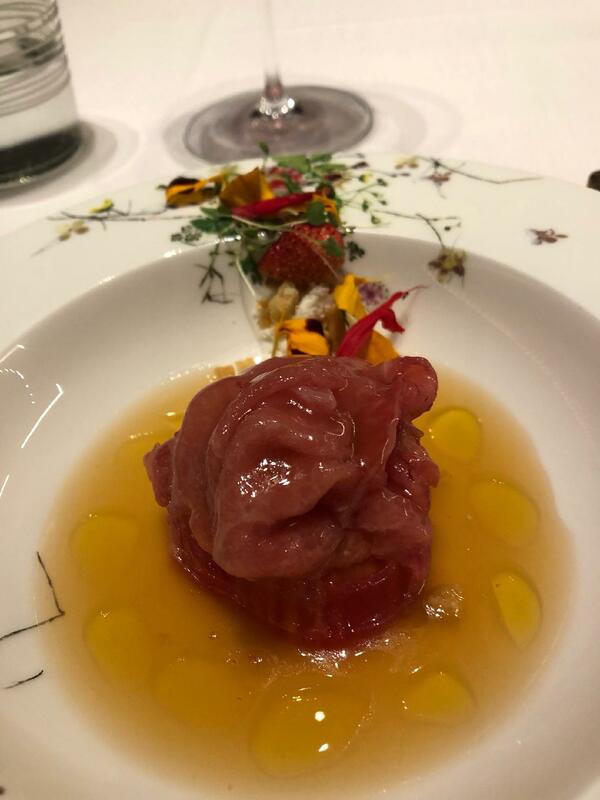 We have begun to look at other restaurants by Ricard Camarena and may even try to plan our next vacation around some of these restaurants - the staff, service, and meal was that good! We cannot recommend Ricard Camarena enough - phenomenal on all counts! This was our second visit after 4 years and it was fabulous the time and even better now! A gastronomic experience, not only for the taste buds but also for the eyes! Super staff made it absolutely perfect.